The Society’s Annual Betjeman Lecture: The Pissarros in Bedford Park, 1897 – 1944 took place on Wednesday 13 June and was a sell-out. 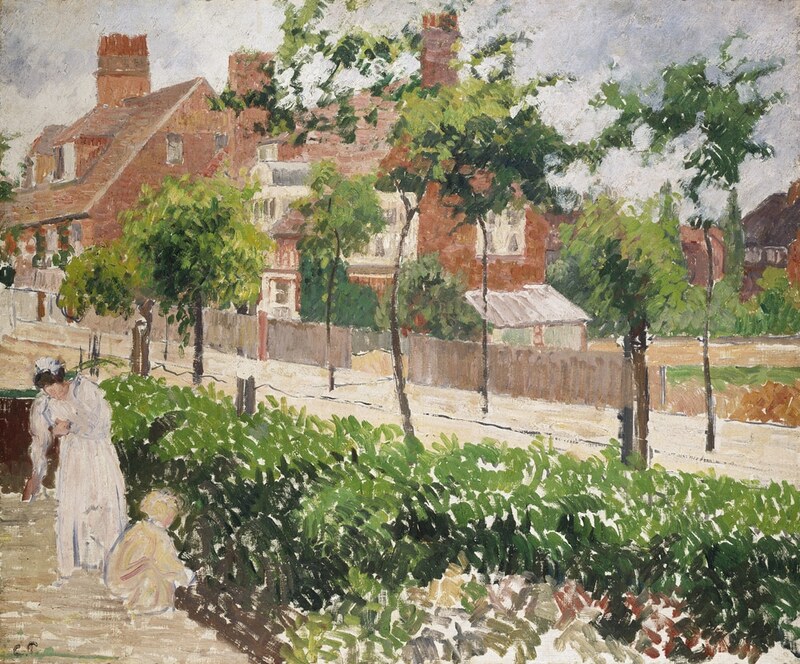 Lucien Pissarro lived in Bedford Park from 1897 until his death. He was a prominent member of the Arts and Crafts community in the suburb. Members of the Society will shortly be able to read more about this fascinating talk, which explored Pissarro’s role in the private press movement and his work promoting the principles of French Impressionism inherited from his father Camille. Colin Harrison’s curatorial responsibilities and research interests include French art from 1800 to 1945, extending to the large collections of the Pissarro family, portrait miniatures and musical instruments. His external appointments include serving as a member of the Executive Board of the International Committee for Museums and Collections of Fine Art for the International Councils of Museums (2010-2016). He has for many years been an adviser to the Reviewing Committee on the Export of Works of Art and the Acceptance in Lieu Panel, both administered by the Arts Council. Proceeds from ticket sales were donated to the Cure Parkinson’s Society.